Routine disease investigations are based on clinical, pathological and epidemiological evidence. If there is a need for conclusive identification of a disease or condition, an accurate laboratory diagnosis should be obtained. It is particularly important, especially in the case of infectious diseases that the final diagnosis rests on adequate aetiological evidence. In most cases, disease investigations are carried out by qualified government stock inspectors and/or veterinarians. 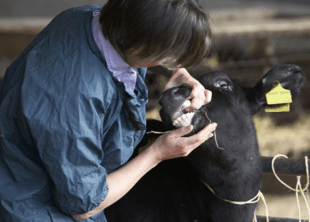 It helps for animal owners to understand and be able to recognise disease conditions that may affect their animals, so that timely intervention can occur. Determine information to collect for analysis of an animal's condition.